My husband and I really enjoyed our week away from it all in the beautiful Martha’s Vineyard. What a lovely island and peaceful place. I had gone there when I was younger to stay with a friend for awhile so it was cool to finally go back. This time it reminded me of Napa valley which is a cherished memory of mine. Plus, my husband had never been there so it was fun to be with him his first time. We didn’t do much while we were there because the trip was mostly to relax and just enjoy ourselves but we did visit a few places. I wanted to share some photos I took during our stay. Enjoy! I am super excited and so grateful that two of my photographs, Brackley Beach and The Sea Awaits, have been chosen as editors picks in the recent Minted + Domino Challenge. Not only does that mean they will be for sale on Minted but Domino’s website as well! And the prize money is a nice bonus too. 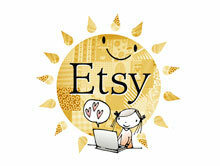 I can’t say enough how great it feels to be a part of such a great community of designers on Minted. Congratulations to all the designers who won for their beautiful work. I wish you all many more wins and of course crossing fingers for the ones who didn’t have luck this time. Last year today, my husband and I were packing and getting ready for our honeymoon trip to Prince Edward Island in Canada. Although we got married that past May, we both love traveling in the fall. It was a busy weekend because my cousin Diana was getting married that Saturday, but we took it easy and tried to get sleep for our long trip the next morning. It was surely a vacation I will never forget. I can’t believe a year has past already. Time goes by so fast, sometimes we let life distract us from the good times in our lives. Reminiscing positive memories not only brings us happiness but it reminds us how awesome our lives really are. 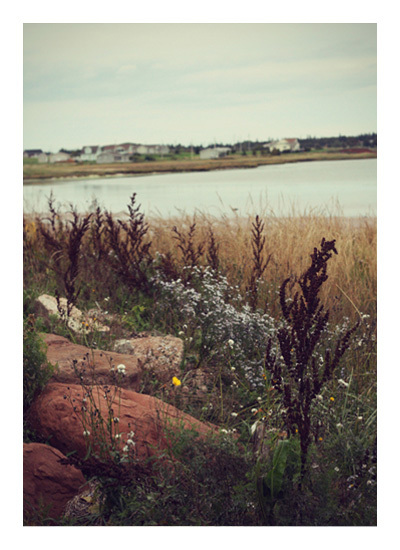 I can vividly remember how beautiful Prince Edward Island was. The cool, fresh breeze against my face, the endless ocean that surrounded us, and the many fields of green we encountered on every drive. Not to mention, all the lovely farm animals that greeted us during our stay. It truly is a picturesque place. 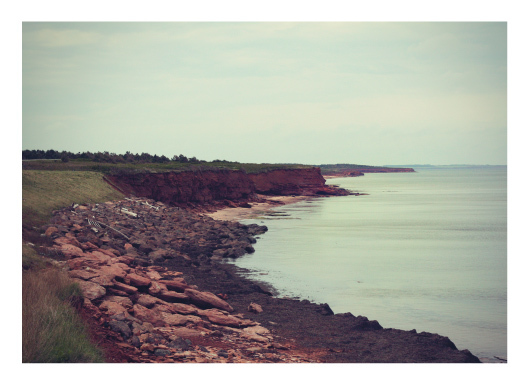 I hope to visit Prince Edward Island again someday and make sure we stay longer. There is just so much to see. It’s one of the only places I felt like I was in a perfect world. It really is a captivating island and I am extremely lucky to have experienced it with my husband. I took this photo while we were in Cavendish at the National Park. The time we spent at this location truly fascinated me. Standing at the tip of the Earth with Dan, as husband and wife, looking out into the never ending ocean was a memory I will never forget. At that moment, anything was possible. I felt infinite and hopeful because there was so much beauty surrounding me. When something can make you feel like that, it surely is worth reminiscing about. I have always loved this Maurice Sendak’s work. Being an artist, you just have to appreciate his beautiful illustrations. Where the Wild Things Are has been one of my all time favorite stories since a child, so you can imagine how happy I was when the film came out in 2009. The fact that Spike Jonze directed it was a bonus as well. I could not have been happier with how it turned out. The film revolves around a lonely boy named Max, who has a wild imagination. One night he runs away after his mother yells at him and finds a small boat in a pond. Seeking new adventure, he hops on and arrives at an island where large creatures call home. It’s here he meets the Wild Things. He convinces them he is a king with magical powers and claims he can bring peace to the group, as they all have anger issues. They soon crown him king and the adventure begins. The incidents that happen during the time on the island is a tale of truth and realization. They mimic Max’s daily life at home and how he has been acting and feeling. Eventually, he comes to realize this and decides to leave and go back to his family. The film is a heartfelt and youthful adaption of the book and the characters truly become alive on screen. It’s enough to make anyone feel young again and remember the days when being wild and free were so easy. The color palette is earthy and subdued with neutrals being the main focus. Most scenes are shot outside so nature is incorporated a lot. Lighting really enables the scenes to shine, creating an intimate backdrop for the plot to unfold, as times of day are accented greatly. After I saw this film, I wished a small boat would take me to a far away land. A place where I can be wild and free and the adventures are endless. It proves there is a wild thing in all of us.